Dumbrava Vlăsiei is a unique residential urban village situated in the North of Bucharest, developed by Loreco Holding Ltd., a family company whose owners have extensive experience developing residential sites in the UK. The complex is located in the middle of an oak forest, on a 90 hectares surface, just fifteen minutes away from Henri Coanda airport, 5 minutes from Edenland Adventure Park and 10 minutes from Therme Bucharest Spa center. Our vision is to develop a high quality urban landscape in Bucharest. 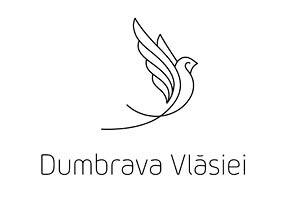 By paying attention to every detail and by using the best materials and equipment available in Europe, Dumbrava Vlăsiei aims to offer something that until now has not been available in Romania. Our company can help you build your dream home in a beautiful setting and we will use our masterplan and expertise to ensure the development of attractive neighborhoods, not just luxury housing. We are currently building a series of designed homes, created by Romania’s top architects (ADNBA, SYAA, ENE+ENE, RADU TEACA), to join the two HUF HAUS show-houses that are already giving life to our project. The houses perfectly complement the surroundings, as well as comply with our masterplan developed by Donald McCreadie, a leading British urban planner. His design incorporates five villages, all linked by a green corridor, with extensive park spaces and large plots to maintain the integrity of the beautiful surroundings. Dumbrava Vlăsiei also provides with spaces for restaurants, sports facilities and a kindergarten.